Roo has taken our HR Services to the next level – the Cloud. ​In addition to our personalized sourcing, recruitment and onboarding services, we now offer access to an Applicant Tracking System, video interviewing and (nearly) paperless onboarding. We look forward to helping you find your next great hire! "I’m an entrepreneur with a fast-growing small business. There came a time when I simply didn’t have the bandwidth to do so much work myself, I needed help - but not just good help. I needed someone who had SPECIFIC licensing, credentials, experience, who was willing to work part-time, from home, and without direct supervision as my company is virtual. I had a VA in the past, and their work was fine, but not exceptional enough to take my business to the next level. Having first met Kelly when I was an applicant and she in the hiring position, I knew she was smart, strategic, and an exceptional HR professional. 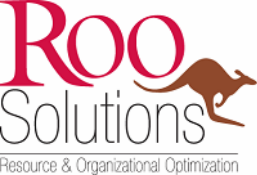 Though I know others who provide HR services to small businesses, Kelly and Roo Solutions were my first call. With efficiency and at a very fair rate, Roo helped me clarify my staffing needs and desired candidate attributes. They determined the best platforms to post my open position, and how to present it. Roo screened multiple candidates, bringing forth only best. They provided affordable background checks and internal company documentation I needed to move from solopreneur to employer. Thanks to Roo, I hired a Rock Star assistant who has now been with me for over a year. As if finding one needle-in-a-haystack wasn’t enough, my business continued to grow and I wanted to have additional cross-trained help. Roo did it again, finding just the right cultural fit with the perfect experience set. Kelly and Roo are key strategic partners in this business owner’s growth plans, I recommend them highly, and without reservation.